Accommodation is housed in the Majestic Wing and the Tower Wing, separate buildings linked by a glass enclosed air-conditioned walkway. The Majestic Wing is the original historic hotel building and the 47 luxurious suites exude old world elegance and impart a sense of history. 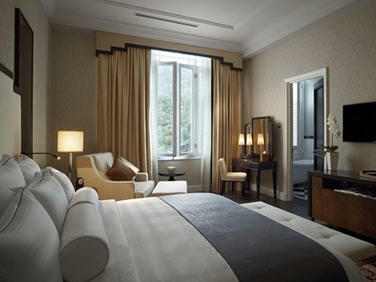 Despite the vintage charm, the suites also feature tastefully modern furnishings, a perfect mix of past and present. All suites enjoy 24 hour butler service. 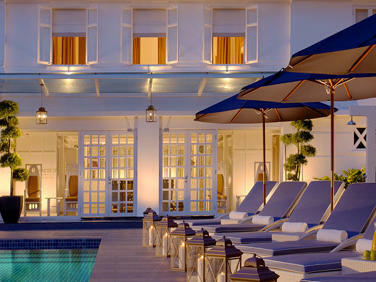 Choose from a Colonial Suite, Governor Suite and the most opulent of all, the two Majestic Suites. 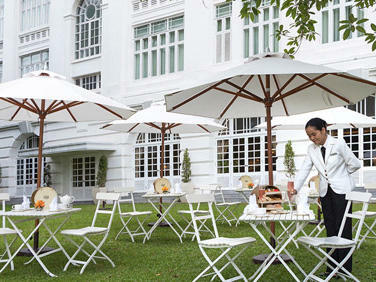 Dining at The Majestic Hotel Kuala Lumpur offers a confluence of past and present. Here, against a lustrous backdrop that ranges from turn-of-the-century architecture to art deco, exquisite modern regional cuisine juxtaposes a re-interpretation of the colonial dishes of the Old World. Every meal prepared by our skilled chefs is a play on the senses, setting the stage for you to recount the day’s adventures with family and friends, new and old. Distinctively appointed in the art deco style of Scottish architect and designer Charles Rennie Macintosh’s Willow Tearooms, The Majestic Spa offers something different.Turn of the century England was not only a period of social grace and tradition, but also of progress and change. The Willow Tearooms of Scotland became iconic gathering places for businessmen to meet, read the paper or discuss politics, and an elegant environment for proper ladies to lunch, play cards and socialise.Serving as home to many British expatriates, British Malaya also embodied the feeling of this transitional time. Although longing for the comforts of their home, these “strangers in a strange land” adapted to all things new and exotic, finding the experience both fascinating and daunting.True to the spirit of this time, The Majestic Spa reflects upon a golden era in Malaysian history. Spa Experiences offered include the intriguingly named Queen Victoria’s Lavender and English Afternoon Tea.